Made in the USA, laser-cut and hand-welded steel with a matte powder coat finish. This base is recommended for free standing cabinetry and works with both face frame and frame-less cabinetry. Made with 11 Gauge flat mild steel and 1-1/2" mild steel tubing, mig welded, and finished with a durable powder coat finish. 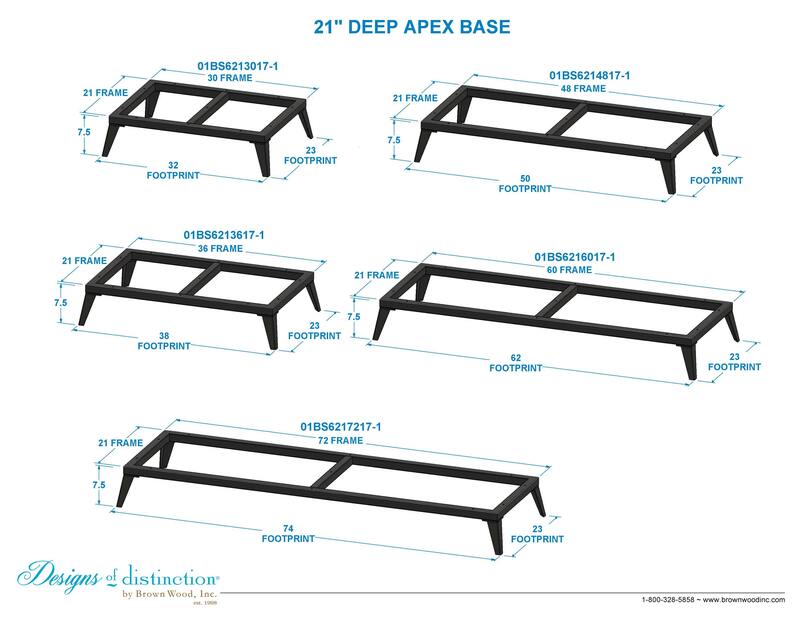 Update any room in the house with our new Apex furniture base. Reminiscent of 1950’s Industrial furniture, these bases feature 6″ V-Fold feet, welded to a 1-1/2″ steel frame. The frame includes a center support and mounting holes for easy installation of seating or cabinetry. Shop matching components in our Urban Collection. Extended lead time may apply.